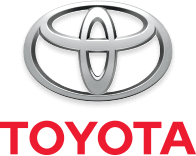 Click here to see your Toyota's Maintenance Schedule details of what services are required at each interval. If you own a Toyota, any model or year, Toyota Extra Care Roadside Assistance is available to you as a 12 month renewable membership. And, as with all of Toyota's plans, Toyota's friendly staff will be ready and waiting to help 24 hours a day, 365 days a year.